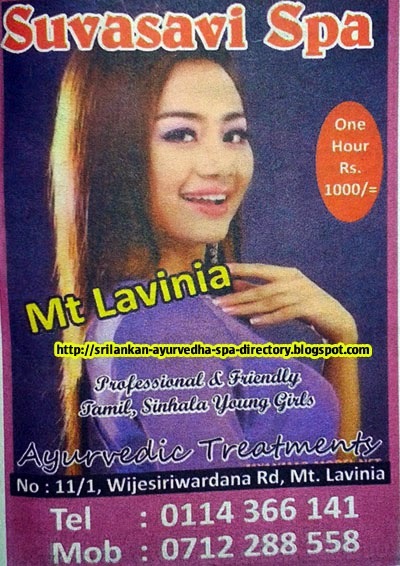 Sakura Ayurvedic International Spa - Mount Lavinia. 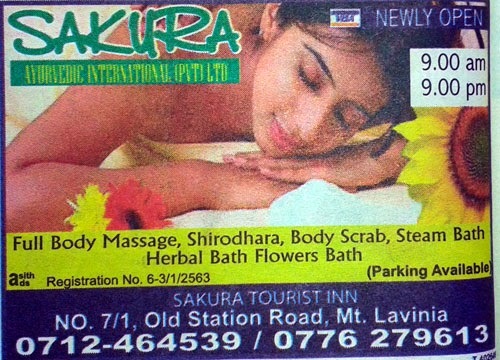 Sakura Ayurvedic International Spa, No.7/1, Old Station Road, Mount Lavinia. 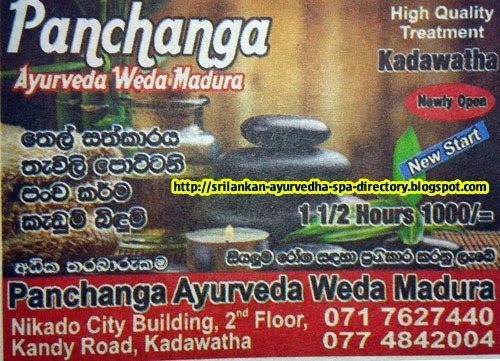 Wasana Spa and Special Massage Center - Colombo 02. 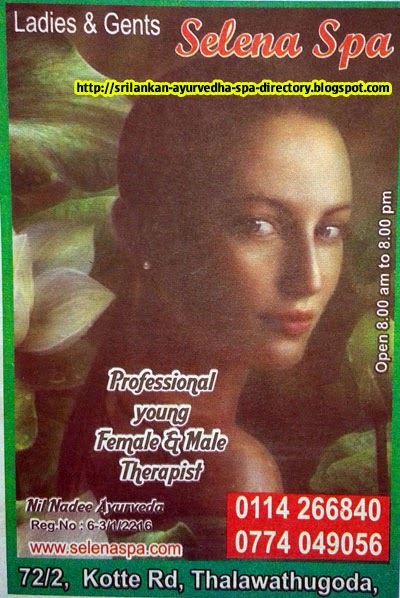 Wasana Spa and Special Massage Center, No. 56/3, Justice Akbar Road, Colombo 02. Sun Rise Luxury Spa - Colombo 03. 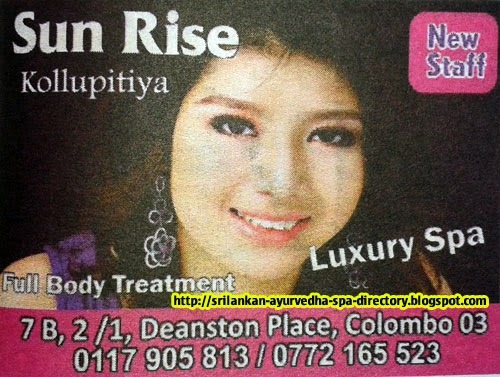 Sun Rise Luxury Spa, 7B, Deanston Place, Colombo 03. Sheron's Beauty Care and Spa - Pepiliyana. 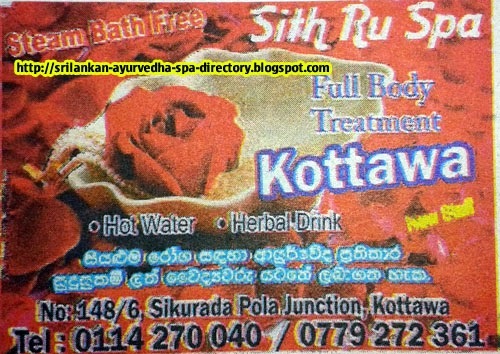 Sheron's Beauty Care and Spa, No.58/1, Nedimala Road, Pepiliyana. Rome City Ayurveda Resort - Magona. Rome City Ayurveda Resort, No. 78, Usvella Road, Magona.